Ross Bay Volunteer wins Award! Ross Bay Villa wins Heritage BC Award! Ross Bay Villa Society now owns Ross Bay Villa!! Volunteer Fair a Big Success! 150th Anniversary Garden Party a Great Success! Our 150th Anniversary! Ross Bay Villa Celebrates all Year! 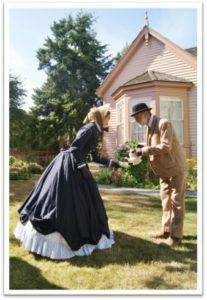 For our exciting 150th Anniversary Year Schedule of Events, please click on our ‘EVENTS’ section! Thank you!